I want to explore and address this question from a Biblical perspective. This is a question I have been asked by people in the past. I have been told “JW’s love Jesus, doesn’t that make them Christian?” This is the first objection I will address. When a Jehovah’s Witness says they love Jesus they are referring to a created being (Michael the Archangel) not the eternal Son of God, the second person of the Triune God. The Watchtower Bible and Tract Society has resurrected a centuries old heresy known as Arianism. Arianism denies the deity of Christ and says that Christ was a created being. Arianism was condemned as a heresy by the First Council of Nicaea in 325 AD. Scripture tells us that when a person denies the deity of Christ they are denying Christ. 1 John 2:23 says that those that deny the Son do not have the Father. Those who do not have the Father are not Christians. Those that deny the deity of Christ are dishonoring Jesus and in doing so they dishonor the Father (John 5:23). Someone can name a totem pole in their back yard Jesus and worship it, but that does not make them a Christian. They have redefined Jesus and are bestowing his name upon something or someone who is not Jesus and giving love and obeisance to it. JW’s do the same thing. Michael the Archangel is not Jesus, Jesus is not a created being. God’s Word reveals the nature, being and actions of Jesus Christ, anyone who worships or gives obeisance to a Jesus created in the imaginations of men is engaging in idolatry (Ex 20:3). The Jesus of the Jehovah’s Witnesses cannot save a single person because he does not exist. 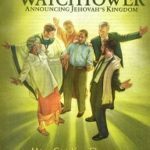 The second issue with Jehovah’s Witnesses theology is they do not have or know the Gospel itself. One thing that must be clear is that any group who denies the deity of Christ cannot possibly have or know the Gospel. Only the righteousness of God is sufficient to satisfy the demands of God. Righteousness from any created being would be insufficient to satisfy the wrath and justice of God. God is eternal and immutable, only an eternal and immutable righteousness is sufficient to satisfy the eternal and immutable justice of God. The righteousness of God himself is required if people are to be saved (Rom 1:17, Rom 3:21-22, Rom 5:1, 2 Cor 5:21). Jesus must also be fully man (Phil 2:7-8, Heb 2:17) in order to redeem mankind. He became fully man yet without a sinful nature (Heb 4:15) as Adam was created a human without a sinful nature (Rom 5:19, Ecc 7:29). Jesus is the second Adam (1 Cor 15:45), this demonstrates his human nature. Jesus must have two complete natures, both the divine and human in order to save people from their sins. This is known by theologians as the hypostatic union. Jehovah’s Witnesses view salvation as a result of a system of works that are required. Jehovah’s Witnesses teach there are four requirements for salvation (CARM Article: Requirements for Salvation by the JWs), they therefore deny the Biblical Gospel of God’s Grace (Eph 2:8-9) and justification by faith (Rom 5:1). Paul tells us in Galatians 1:8-9 that if anyone brings another Gospel other than the one he had preached he is to be accursed. Jehovah’s Witnesses preach a different Gospel with a different Savior so they are definitely not Christians. They need to be evangelized and given the true Gospel. Once we recognize that Jehovah’s Witnesses are not Christians and therefore are not saved and abide under the wrath of God, we should be motivated by love to share the Gospel with them. Learn how to share the Gospel with JWs and do so with gentleness and patience (2 Tim 2:24-26), praying for God to save them. Well explained. One admission that I have is that I fumble remembering where these passages are when I need them. I have a friend in FL who would tell me always be prepared to defend your faith. Under pressure I may just forget. Is there a way that you can provide a OneNote with that have tabs for the various Titles of your posts? From my phone or PC I can quickly locate, use or just review. The posts display pretty well on a smart phone. I use my browser on my iPhone to pull up an article that is relevant to a conversation to give someone the verses it references. Tell your Florida friend to get a life. I don’t know if you meant to come across in the way it sounded? Other people like me might not understand either, so I’m just commenting to clarify – maybe I misunderstood “get a life” in response to someone who is simply looking for better ways to “always be prepared”. Maybe it’s inside humor or something? pikbee on Is the Resurrection the most proven historical fact?